Why Work at GEO Academies? This is a great way to start the week. A great article in today’s Baton Rouge Advocate featuring our next new high school. We plan to open in June with a summer program and get started preparing our inaugural class of 100 9th graders to be successful in college and/or in pursuit of career certifications. Check out the article by clicking here. 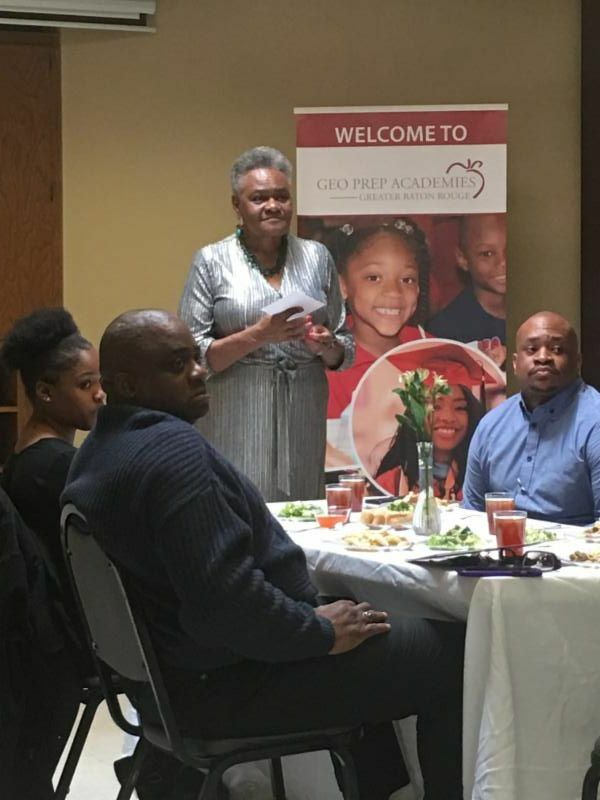 Many thanks to Linda Johnson (pictured above), our board chair and former chair of the State Board of Elementary and Secondary Education for Louisiana, for all her leadership supporting the development of our network in Baton Rouge. And many thanks to New Schools for Baton Rouge for their support. We have a terrific board and great team! Yes, it’s fun changing the world together!